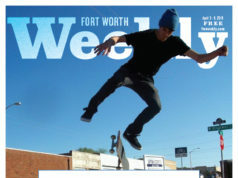 Fort Worth’s booming “urban village” has some not-so-hot zones. A walk down Crockett Street in the West 7th development on a recent Saturday afternoon felt like a stroll through a ghost town. The area — full of apartments, bars, restaurants, and trendy shops — is designed for pedestrians, but only a couple of people were on the street. Outdoor dining patios at Terra’s Mediterranean, Patrizio’s, and the Brownstone were empty. Even indoors there were no customers at shops like Teskey’s Uptown and the Flirt Boutique. The culprit, of course, was the weather. What sane person walks around in 100-degree heat to shop for stylish cowboy boots? But heat isn’t the only problem on West 7th Street, where development is defining a new style of (usually) walkable urbanism in Fort Worth, with housing located above stores and cafés and with garages removing the need for vast parking lots. Of four major mixed-use developments going on in the corridor — with substantial public investment in each case — three have either been slowed down or are in some degree of trouble, thanks to a combination of weaker financing, an over-reliance on condo sales rather than apartment leases, and, of course, the bursting of the housing bubble and the country’s broader economic doldrums. While retailers in the area draw a large portion of their customers from other parts of town, empty housing units still spell problems for them. 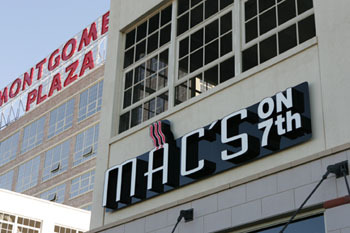 “We expected the people living in the condos to eat at Mac’s, but they never sold,” said Mike McMahan, who opened his third Mac’s restaurant in 2008, in Montgomery Plaza. He closed it a few months ago. At Montgomery Plaza, only about 130 of the 240 loft condos sold in the first five years, and developers are being sued for more than $6 million by contractors who did the finish-out work. The discount retailers at the back of the old Montgomery Ward property, including Target, seem to be booming, and indeed they provide almost the only basic-amenities stores in the area. In the old department store building itself, some retailers are doing well, while other shops have come and gone. Across the street, partners in the South of 7th development defaulted on a $9 million note in 2009 and staved off foreclosure by refinancing the loan. Of the 65 condos built there in 2008, almost half stayed vacant. Developers sold them as a bloc earlier this year to an investment firm at a discount price. The So7 Grill closed last year after a two-year run. A few blocks farther west, Museum Place, also struggling with condo sales, decided to lease many of its units rather than wait for buyers. Only four of the 39 condo units (priced at between $300,000 and $700,000) sold; when developers opened them up to renters, another 22 were filled. Only Cypress Equities of Dallas, which built the West 7th development around Crockett and Currie streets, seems to be hitting on all cylinders. Its first 340 apartments are all leased, and another 90 or so will come on the market in a few months. The retail components were chosen to fit the apartment-renter crowd, rather than the older, higher-income condo dwellers. No development is bullet-proof — Delaney’s Irish Pub closed its doors there in the past few months, but other retailers, like the movie theater and upstairs bowling alley that opened in the past 18 months, are doing pretty well. Despite the ups and downs, the 7th Street corridor in general is booming, to the point that the combination of vehicle and pedestrian traffic along the street is becoming dangerous, and problems have developed about who can park in one of the associated parking garages without getting towed. Amid it all, a few longtime local institutions, like Fred’s Texas Café, are surviving and thriving. 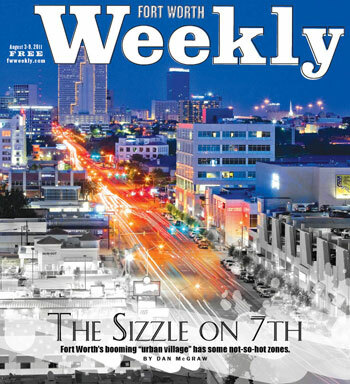 Assistant City Manager Fernando Costa said West 7th is perhaps the most successful of Fort Worth’s 16 designated urban villages. The redevelopment of West 7th Street began in the late 1990s when the old Firestone tire company facility near downtown was converted into apartments. The South of 7th project began about the same time, with a Residence Inn hotel and apartments just west of Trinity Park. But when the major tornado of March 2000 tore up the area, it sort of broke the dam for more development. Some of the most heavily damaged buildings were on the Montgomery Ward property — not the eight-story main building, dating to 1928, but the truck bays out back. The department store chain abandoned the site in 2001. The Plano-based Marquis group purchased the old building in 2004 for conversion into loft condos. The land out back was sold to retail developers; the Super Target, Marshall’s, and an Office Depot opened in 2005. Around that time, three other development groups — two from Dallas and one based in Fort Worth — began to see the potential for urban infill development along West 7th. Hughes Development, which had done the Mockingbird Station urban project in Dallas, assembled land just west of Trinity Park, expanding their South of 7th — or So7 — mixed-use housing and retail project beyond the hotel. 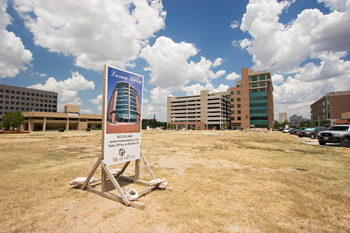 Museum Place, done by Fort Worth-based Jagee Properties, put together 12 acres just west of the busy University Drive/Camp Bowie Boulevard/West 7th Street intersection and announced plans in 2006 for condos and offices, restaurants, retail, and about 500 apartments. Cypress Equities, a subsidiary of the Staubach Co., got into the act about the same time, buying the old Acme Brick headquarters and other parcels around West 7th. Cypress had one clear advantage that allowed them to move ahead of the pack that had started earlier. They joined forces with The Carlyle Group investment firm and had the entire $200 million project financed in advance — before the housing market crashed. The other three projects had to deal with finances as each phase was begun. But the Cypress Equities partners also decided to limit their housing offerings to apartments, not condos. “What we saw early on is that the condo market in Fort Worth was becoming oversaturated, but good apartments in this part of town were somewhat lacking,” said Michael Wheat, executive vice president and leasing director for Cypress Equities. “The ones who moved in were recent college grads who were working their second or third job, very much above entry level. These folks wanted things close by, so they could be able to go to work, shop, and eat without getting in their car. Fred Forgey, executive director of the graduate program in real estate at the University of Texas at Arlington, lives in an apartment in the West 7th development and has watched the four projects closely. He ticked off several factors that he said put Cypress Equities ahead of the game. Reece Pettigrew, chief financial officer for Museum Place, said the economic downturn has put that project in a “holding pattern” but that the next phase, a mixed-use complex with 215 apartments, on the property where the Wreck Room once rocked, will be started within the next four months. Pettigrew also said the firm is waiting on approval of a low-interest loan from the U.S. Department of Housing and Urban Development to cover $30 million of the $50 million construction tab for the new complex. Walli Maya, a partner in the Marquis Group that manages the condo sales at Montgomery Plaza, said, “No question the economy has had an effect on the project. But we are encouraged because we are getting 15 to 25 walk-ins interested in buying each week, and as the economy improves, we expect to be selling more and more.” The 140 unsold condos have been purchased by a subsidiary of the Marquis Group in which Maya is one of the investor partners. 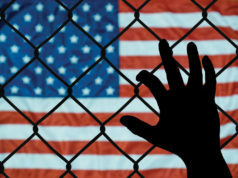 As for the lawsuits by the contractors and subcontractors, Maya pointed out that his subsidiary is not one of the defendants and that the parties have agreed to arbitration to settle the disputes. Chef Tim Love is confident enough in the future that he will expand his Love Shack at So7 in the coming months. Hughes Development sold off its interest in So7 late last year. Another real estate firm bought the 29 unsold condos at a discount rate, and a pension investment firm bought the rest of the property. “The financial struggles we have had in the past have been solved, and we are moving forward,” said Zac Porter, who handles retail leasing for the project. Porter said So7 recently leased office space to an ad agency, and two more bar/restaurants will open in coming months. He added that the 70 apartment units are 100 percent leased. “The Fort Worth economy is coming back, and we are confident we will be leasing all of the 20,000 square feet of unleased space very soon,” he said. Parking garages, as it turns out, aren’t the answer to every traffic problem. Sarah Turner, a marketing manager for an apartment management firm, took family members down to the West 7th development for dinner and drinks during the week of the Super Bowl. Turner parked her Saturn at the free parking garage on the property. A security guard told them they had to spend money on the property to be allowed to park there, and they told him they were going to Delaney’s. First, though, they walked over to the Capital Bar to see which band was playing that night in case they wanted to hear music after dinner. They had dinner and drinks at Delaney’s and dropped more than $200. Afterward, the group spent about 45 minutes at Capital Bar, listening to music and having a few drinks. When they went back to the garage, the car was gone. 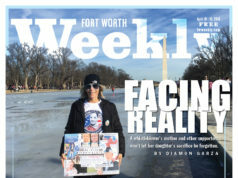 Turner and her husband saw a Fort Worth Police patrol car on the street and asked for help. The officers intervened and convinced the security guard that he’d had the car towed illegally and should get it back for the Turners. The security guard agreed, and the towing charges were dropped. But the Turners had to pick up the car at a lot in east Fort Worth. The whole ordeal took about two hours, she said. Cypress Equities’ posted policy is that the public floors of the garage are only for people who patronize the retail, dining, or drinking establishments in the development. But they rely solely on the decisions of the security guards; there’s no system for validating tickets. Wheat, the company vice president, defended the policy. 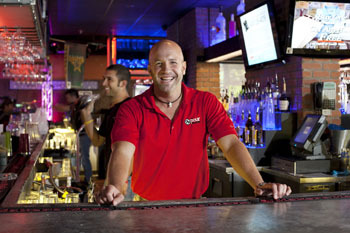 Clay Mazur, owner of the Capital Bar and other properties on the fringes on Cypress Equities’ development, suggested that unused parking around Farrington Field might be leased, with shuttles or pedi-cabs to ferry people around. Mazur said he too has heard of folks getting in trouble for parking in the West 7th garage after spending money in that development but then moving along to other area establishments. Jordan Johnson, a commercial real estate broker and board member of the recently formed 7th Street Business Association, said the city should build “a fee-based parking garage over here. Parking may be a headache, but it’s seldom a life-threatening problem. West 7th Street itself, however, is becoming more congested and dangerous as the popularity of the developments along both sides of it increases. The city has made some changes: Bike lanes have been added, sidewalks redesigned, and on-street parking has shrunk the street from six to four lanes. But Tschetter and others believe that’s only a start. The bar owner has proposed a pedestrian bridge over West 7th Street, but because of cost concerns and other factors, the idea has drawn no interest at city hall. Kevin Buchanan, an information technology worker and keeper of the Fortworthology blog (which focuses on urban planning issues), said changes need to be made to balance the needs of cars and pedestrians. That idea drew opposition from Johnson. Traffic is likely to get worse soon. The In-N-Out Burger chain has built its first Tarrant County outlet on the north side of West 7th, and that’s expected to produce long lines of traffic. Private developers aren’t doing West 7th Street on their own. They’re getting millions of dollars in taxpayer help at a time when every level of government is cutting back on services — in some cases long-established, bedrock government programs — because of budget woes. Grants, loans, and tax abatements aren’t simply providing water and sewer services or paying for landscaping, they are helping make the projects possible in the first place. State and federal public funding comes from “sustainability grants” through the North Central Texas Council of Governments. To qualify, projects must include higher-density housing and mixed-use retail, which in turn is expected to improve pedestrian mobility and get cars off the road. So7 received $4.3 million from NCTCOG for construction of Museum Way for better access from West 7th, plus sidewalk improvements. Of that, $1.7 million is paying for a pedestrian bridge now being built over the Trinity River just to the east. Museum Place received $2.4 million from NCTCOG for the reconstruction of West 7th Street in front of its property, along with streetscape improvements. The development also earned $192,000 in city tax abatements for 2011 on its completed first phase, the eight-story office/condo tower and the new 7-Eleven store with five housing units above it. The next phase, involving the apartment complex, must be finished by the end of 2012 to meet the abatement agreement terms, and Pettigrew said he expects to make that deadline. However, phases three and four — which will include another apartment mixed-use development and a hotel — must be completed by the end of 2013, and that is unlikely. “We will probably ask the city for an extension for those phases,” he said. Fort Worth is providing help through two other programs, one involving grants to bridge funding gaps and ensure that projects get completed and the other involving enhanced infrastructure. In both, developers negotiate terms with the city, involving the number of jobs to be created, the percentage of work that will go to local firms, the amount of private money to be raised, and completion dates on various parts of the project. Montgomery Plaza has a 21-year tax-abatement agreement covering all property and sales taxes. This year, those benefits will total $835,000. In addition, the development got $172,000 for the infrastructure improvements. Cypress Equities negotiated a 15-year tax abatement on 75 percent of its property taxes but won’t realize any of those savings until the whole project is finished, by the end of the year. The craps game that is real estate development could roll hot or cold on West 7th in the next few years. Too many bars, restaurants, and condos in one small area could lead to more failures and financing problems. Or the development growth could reach critical mass and become a long-term destination spot for locals interested in Fort Worth’s version of urban shopping, dining, and entertainment. For now, the hot corridor continues to simmer. The In-N-Out Burger is dueto open this month. Dallas-based Barcadia Bar & Grill is coming soon to So7. More apartments will open up in West 7th in the next couple of months, and Museum Place hopes to have its 215-apartment complex with retail and restaurants completed by the end of next year. The West 7th Development also recently signed a contract with a former Colorado beauty queen for a shop that will sell her clothing line. If many of the trendy establishments along West 7th have a certain Dallas air, the developers have been smart enough to help preserve a few local institutions — in particular, Fred’s Texas Café. On that hot Saturday afternoon, Fred’s was packed. Not only was every booth in the cool interior occupied, but even the steamy patio was busy with folks pounding down beers, eating burgers, listening to music — but not wandering along West 7th in the sun. Eric and Jane Johnson and their two young daughters were on the patio. They live on the near West Side and have been coming to Fred’s for years. Tim Love himself is another institution of sorts in this town. The chef has weathered his own ups and downs at his restaurants in Fort Worth and elsewhere.